Reverse Osmosis (RO) is one of the most important ways of purifying water and making it safe for drinking. Any impairment in your RO can prove hazardous to your family. Har Ghar Sewa solves all your problems related to RO Repair and Service. Do you know RO water purifiers are capable of removing dissolved salts present in the water? The service include cleaning of the system and evaluation of RO System to ensure it gives the optimum performance to you. Generally we suggest our customers that there should be one RO Cleaning Service in every 4 months. This also depends on quality of water in the area. 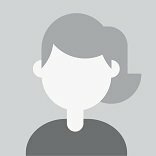 • Our expert will visit you and check the issue faced by you in your RO system. • He will conduct a detailed survey of the system and will do the RO Repair by providing you the complete knowledge of the work to be done on RO filters and the expenses that shall incur in due course. • We serve the RO Repair and Services, Installation, assemble, etc. 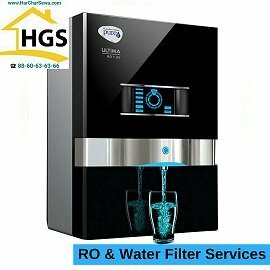 • We deals in Service & Repair of all brands like KENT RO Repair, HUL Pure It RO Repair, Aquagurd RO, Eurekaforbes RO System, Livpure RO, Bluemount RO Purifiers, Havells RO Purifiers, and all local brands like Aquafresh, Aquagrand, Aquasure, Aquapure, etc. Har Ghar Sewa offers RO AMC Services in all Delhi Area with Original Parts and branded filters. In AMC Har Ghar Sewa provide 3-4 Services as per the requirement, guarantee of all the filters and membrane will be covered for 1 year, no electric part is covered in AMC. Why Har Ghar Sewa - RO Service? You get professional and experienced staff to provide you the cities best RO service. To ensure that there are no frauds, our service providers will have an i-card of Har Ghar Sewa and a standard tool kit with them. Our team has expertise in every type of RO purifier.